Sundays are great baking days. In the south Sunday’s are usually for church, family, and relaxing in preparation for the upcoming week. I use some of my time to bake and meal prep for the week. 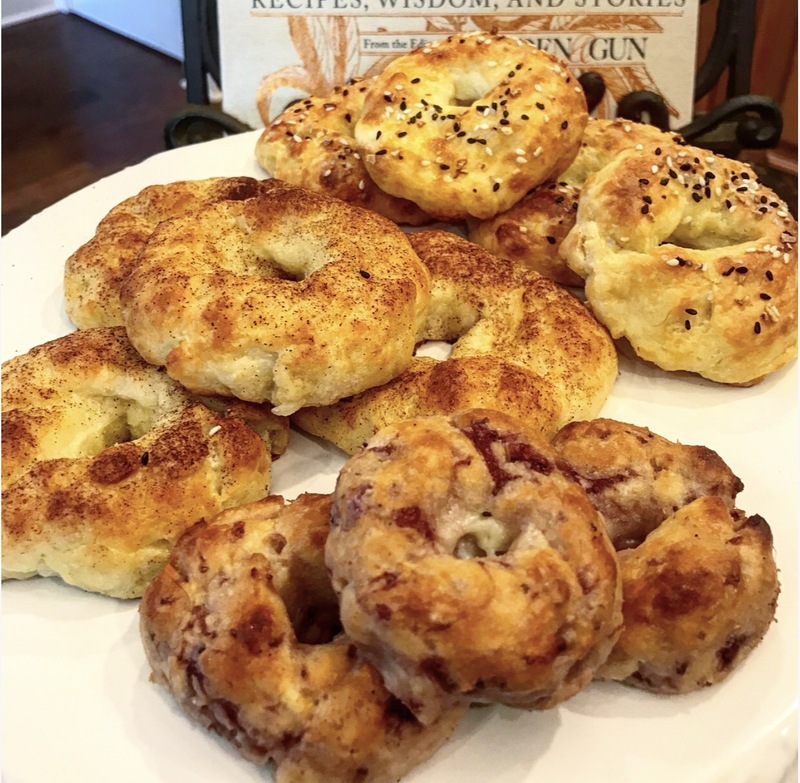 Today, I decided to mix up the dough for my keto bagels a little bit and try a sweeter version, strawberry and cinnamon & sugar. In a microwave safe bowl melt cream cheese and mozzarella together, check often as to not burn, and stir well. Then add all remaining ingredients except almond flour, mix well, Lastly, add almond flour and combine. 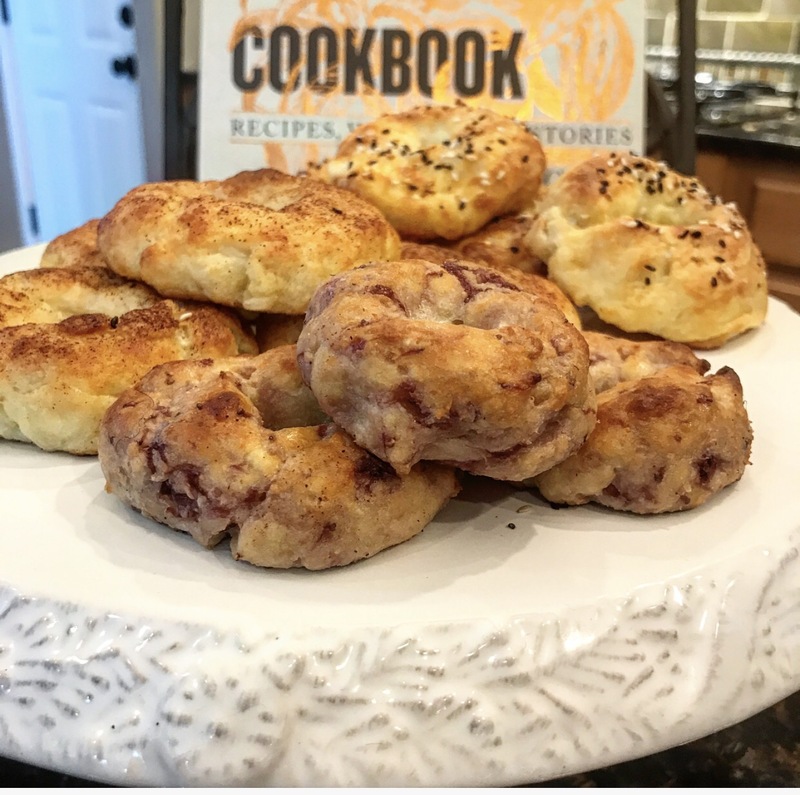 Roll the dough into 6 balls and place on a greased cookie sheet or parchment paper (I found my silicone mats work wonderfully for this). If you wet your fingers with water it will make the dough stick to your hands less. 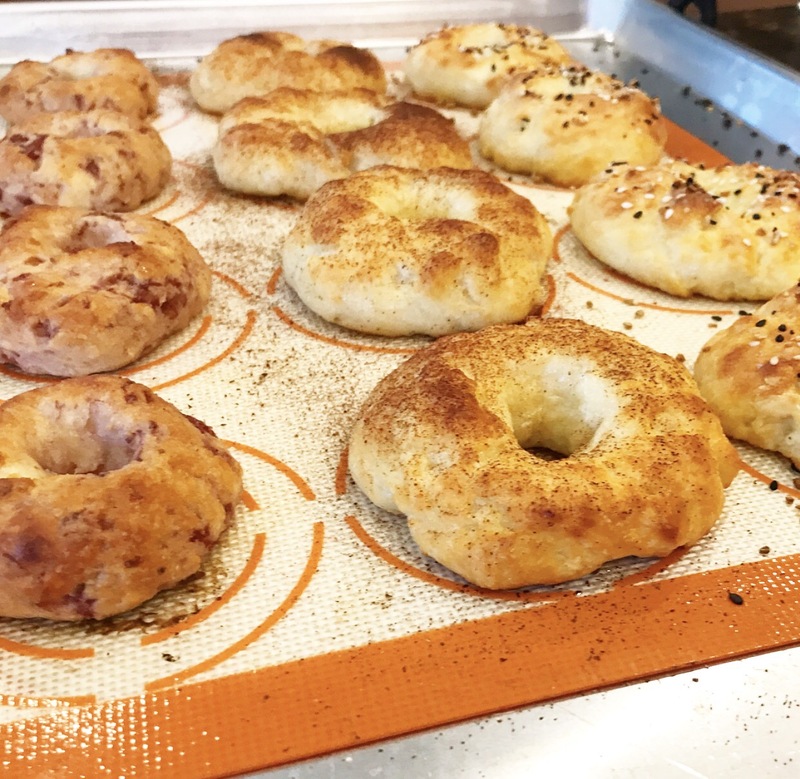 Poke a hole into the center of the dough ball and shape out a bagel. Place into the oven at 400 degrees for 18 minutes.